WHEN YOU DON’T KNOW WHAT TO DO.. DO NOTHING?? Ever since I can remember I have been undecided as to what I want. As a child I didn’t know what I wanted to be when I grew up. As a teenager. I didn’t like myself and I wanted to be like everyone else. I had no idea who I truly was and didn’t allow myself my own process. I created false identities, images and phoney egos to fit in. I became lost in a fantasy world. That fantasy lasted the majority of my life and still to this day I struggle with those identities. I created many different masks to mask my true identity. I didn’t like me so I know you wouldn’t like me. That was my thinking. Low self esteem and self worth plagued me from a early age and in my active addiction became non existent. I became a people pleaser and became who ever I thought you would like me to be. I am searching for the real me. I have been able to put to rest some of those masks. But in all honesty I had found a sense of security in them. Without them I feel vulnerable and exposed. It is a very uncomfortable feeling and as a result I find myself isolating from the fear. Always quick to run and resort back to where I am most comfortable. I have come to realize lately that now that I am clean. I have resentments about my past and all the wasted time. So I am trying to compensate by wanting things I see others have. The biggest thing for me is a relationship. I say that I am ready to settle down. That it’s time and I am not getting any younger. All that is true but I am forgetting one major factor. I don’t know how to be in a healthy relationship. Most of my past relationships were toxic and as a result ended badly. If they weren’t in the beginning they ended up that way in the end. I have to learn how to have a healthy relationship with myself before I can have one with anyone else. I am just beginning to have a relationship with a Higher Power and I seek guidance in both areas. Instant gratification has caused me so much pain in the past not to mention what I have done to others as a result of my selfishness. I’m not sure doing nothing is the answer but I will practice being still, searching for answers and getting to know me. This entry was posted in 2015 and tagged addiction, indecisiveness, recovery. Bookmark the permalink. Hey Eric: You sound like someone who has come through a lot and LEARNED from it. Congratulations. I know you aren’t where you want to be at the moment but you sound as if you’ll find your way. 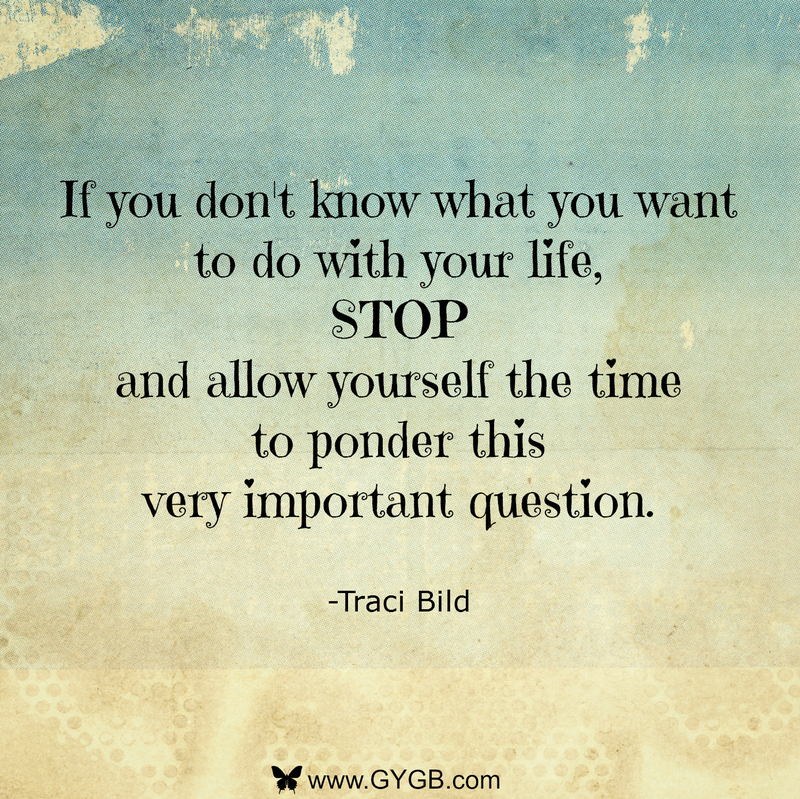 Knowing what you don’t want is as important as know what you do want. And never feel bad about what you did or didn’t do in the past because we can only see what we would have done differently from right now. Now we have more information, we can see the consequences of what we did then. The fact is, we all do the best we can in the moment and that’s all we can do. So whatever you did, you were working with what you had at the time. You couldn’t have done things then the way you would do them now. You sound like an intelligent person in search of a better life. Once you let yourself be who you are and trust others to see that part of you, you will attract the kind of people who like you as that person. Just be true to yourself. Easy to say and maybe hard to do but you want that and that makes all the difference in the world. I wish you luck and smooth sailing. I hope you find love and happiness in your life and I hope you become yourself and all good things come your way. Thank you. I appreciate your kind words, encouragement and support. My God Eric, how can you put it in the easiest to convey words I have been condemning myself and thought I must be a nutcase a weirdo for thinking about just that. especially the non toxic relationships. It’s either a lost art or a thing I’ve never had and then the years discounted from our lives. Too many things we have to catch up to. Thank you Bjay. I appreciate your kind words. I used to feel the same way. I thought I was crazy. I thought I was different and no one could ever understand what I was feeling. I am learning today that I am not any of those things. I have been mislead and It’s OK to admit that I don’t know. I can forgive myself and let go of all those things that I have done wrong and work on doing the next right thing today. Learning to love myself is the hardest thing I have ever done. But I am doing it and in turn. I am learning how to love others. It takes practice, patience and consistency but I am making progress and that is all that really matters. I appreciate your taking the time to read and comment on my blog. Thank you and please feel free to stay in touch. Hi Eric, your post resonates with me a lot. There was a time in my life that I actually named myself nonexistent in a forum. I have learned over the years that it is not the way others view us that counts, but how we view ourselves that really matters. Now I know that I have authentic value in, and of myself. Thanks for sharing your vulnerability with us! Thank you Justin for sharing your identification. You are absolutely right how we view ourselves is far more important than how others view us and knowing that we are of value. I appreciate your taking the time to read and comment. Thank you again. Wow Eric. So many of your posts resonate so deeply with me. All my life too, I’ve been indecisive. Never knowing who to trust, where to turn and always looking for someone or something to validate me… to fill the void of loneliness and regret. Today however, as I think we both know, the only person we really need is ourselves. To build a solid foundation within ourselves, on which we can build the rest of our lives. I think as long as we keep doing the next right thing, all will be well. Love will come along.